The first thing you’ll notice when you stray out of range of your iPhone is that your Apple Watch gets upset. An ugly red icon appears at the top of the screen in protest, and stays there until you reunite your Apple gadgets. It is pretty clear that Apple expects you to take your iPhone with you most of the time. However, Apple claims the Watch can log runs without the smartphone, providing the wearable is calibrated. This simply involves taking your iPhone and Watch on a 20-minute run together. That’s the theory, anyway. To test it, I started off using Apple’s own built-in Workout app. My Apple Watch was already well calibrated, since I had logged more than 30 hours of running with my iPhone. The results I got, however, were surprisingly inaccurate. Without the help of my iPhone, my Apple Watch thought my daily 7.2-mile run was 10.5 miles. I tried three separate test runs of this same distance and on each occasion the Watch was off by around 45 percent. When I take my iPhone with me on a run, my Apple Watch’s pace and distance estimates are highly accurate. Without my iPhone, it became so inaccurate it was useless. While my Apple Watch clearly did not like leaving the iPhone behind, I loved it. I had gotten so used to having my bulky iPhone 6 Plus strapped to me that I had forgotten how much lighter and freer it felt to run without one. Determined to solve the accuracy problems, I contacted Apple support. Initially, they advised me to take my iPhone with me if I wanted greater accuracy. But I was not about to give up just yet. So instead, they suggested un-pairing and re-pairing my Apple Watch – a fiddly and time-consuming task that made absolutely no difference. I tried resetting my calibration data and recalibrating, but this did not help either. I began to wonder if it was my fault. My arms swing a lot when I run (something my running coach always used to tell me off about). Perhaps all that extra motion was throwing off the Apple Watch? But surely a good running watch should be able to handle a wide variety of running styles. I was curious to find out how many users are affected by this issue, so I asked Bernard Desarnauts, CEO of Wristly, a specialist in Apple Watch research. Overall, Wristly has found users are extremely satisfied with their Apple Watches, although the satisfaction level drops significantly when it comes to running without the iPhone. 55 percent say they are satisfied with the accuracy, which is not bad, but when you look more closely at the data, a different picture emerges. Desarnauts broke down the data for me by how many times a week Wristly’s survey respondents work out, and found that the more you exercise the more you are dissatisfied with Apple Watch. Which makes sense given that the further you run, the more apparent inaccuracies become. Perhaps my bad running style is not entirely to blame after all. 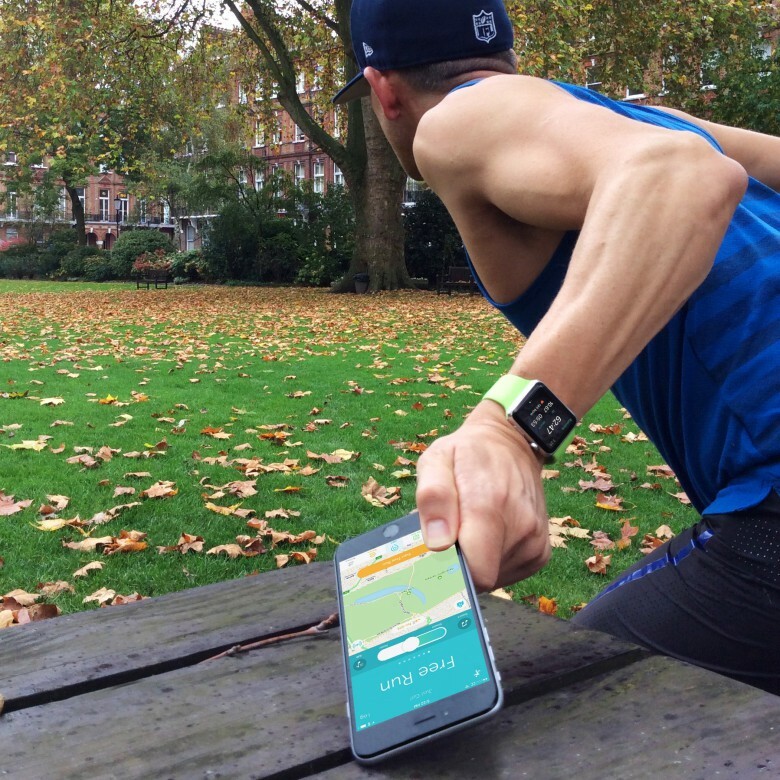 Runtastic was first off the starting line with the launch of its native app for watchOS 2 in September. But it does not support running without iPhone. 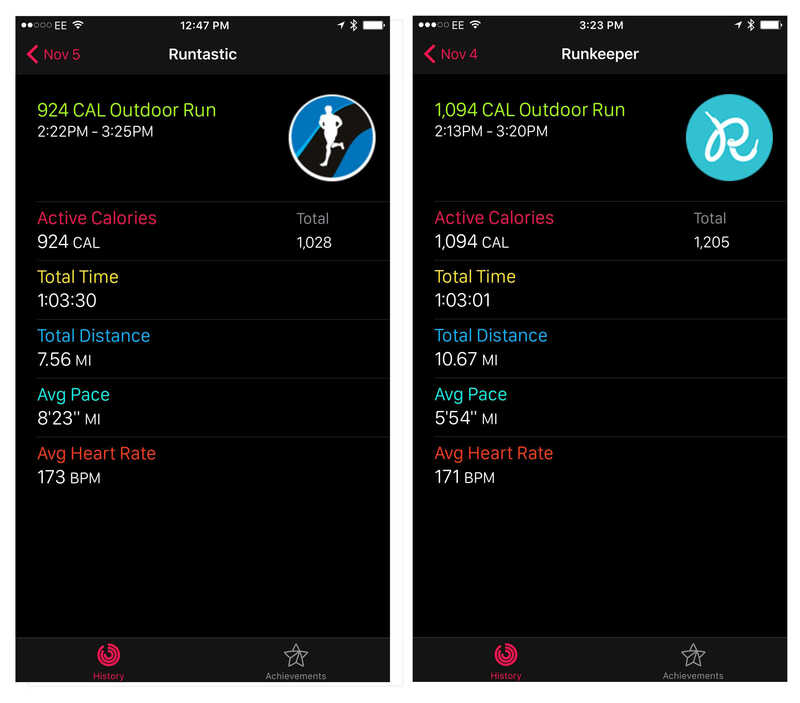 Runkeeper is hot on Runtastic’s heels with a recent update for watchOS 2. 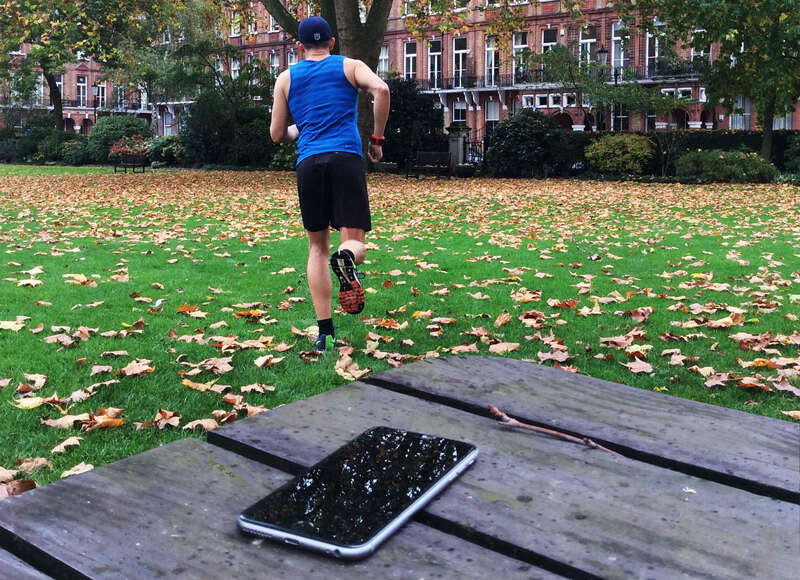 Unlike Runtastic Pro, the new Runkeeper app does support iPhone-free running. So I decided to give it a try. There is a lot to like about the new Runkeeper app for Apple Watch. The user interface is clean and simple. And when you are logging a run, you don’t need to tell the app if you will be taking your iPhone with you. It just works this out for you, combining accelerometer data with GPS data when it is available. Runkeeper co-founder and CEO Jason Jacobs advised me that for tracking with just the Watch, it works best if you are out of range of your iPhone when you start the activity. In my case, that involved walking several meters, because my iPhone’s Bluetooth signal seems to reach outside my house and down the road. Disappointingly, however, I found that when running without iPhone, the results were the same as with the built-in Workout app. Jacobs confirmed that Runkeeper has the same level of accuracy. I assume this is because third-party apps offering iPhone-free running must use Apple’s new workout API, and therefore whichever app you use, the data ultimately comes from the same source. I was also surprised to discover that the Runkeeper app suffers from the same dreaded double lag that afflicts other third-party running apps, resulting in a pause of several seconds before the pace and distance update on the watch. I had assumed this would not be a problem for Runkeeper because it does not need to wait for GPS from the iPhone. But for some reason, it still is. While the Wristly data suggests that I am not alone in encountering these problems, it seems that not everyone is affected. Some people I have spoken to have gotten accurate results during iPhone-free runs. Which makes me suspect it is an issue with my flappy-arm running style after all. Ultimately you must try it for yourself to find out if it works for you. (Let us know in the comments below). Third-party watchOS 2 running apps like Runtastic Pro and Runkeeper display workouts within the Activity app. One really nice feature of Runkeeper is the way it integrates with Apple’s fantastic Activity app. Runkeeper doesn’t just contribute to your Move and Exercise ring totals. In the iOS Activity app, a Runkeeper icon appears on days when you have logged a run, and tapping through reveals a breakdown of your distance, pace and heart rate. However, there currently seems to be a bug affecting this. Calories from a run you log with Runkeeper are added to your Move Ring initially, only to disappear at midnight, like Cinderella’s carriage. This can be very frustrating if you had a nice Move Ring streak going. Hopefully there will be a fix for this in Runkeeper’s 6.3 release. Third-party support for new fitness features in watchOS 2. A couple weeks ago, I admitted that I was cheating on my Apple Watch and had resorted to using a dedicated GPS running watch alongside it. The problems I’ve outlined above further illustrate that the Apple Watch is still not suitable for serious runners. 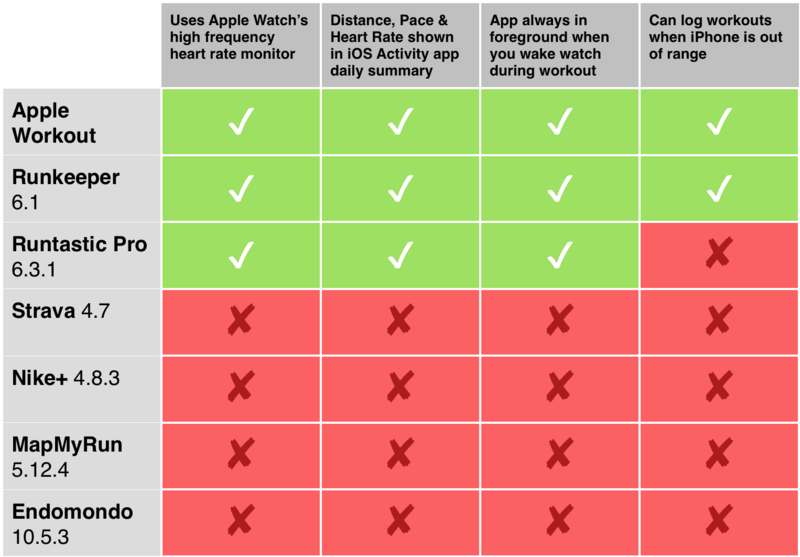 While watchOS 2 apps like Runkeeper and Runtastic Pro (which has recently been updated to address the issues I previously reported on) show the potential of Apple Watch as a runner’s platform, other big-name running apps are proving slow to adopt new features. More support for watchOS 2 will certainly help, but I still think Apple Watch will only become a serious option for regular runners when Apple adds built-in GPS.